During the last weeks Patria has been increasingly contacted about the possibility that Patria’s Nemo 120 mm mortar system or Patria Hägglunds’ AMOS 120 mm mortar system would have been used in Misurata, Libya to fire 120 mm cluster ammunition (MAT-120) produced by a Spanish company Instalaza S.A. Patria strongly rejects this possibility. None of AMOS or Nemo mortar systems are in use of the parties in Libya. And Patria does not develop, produce or sell cluster ammunition products. The suspicion has likely been created by a misinterpretation of publicly available information. A small quantity (305pcs live plus 230 pcs of inert ammuntitions) of MAT-120 rounds were imported to Finland in 2005-2007 for for the program for the Finnish Defence Forces. Patria and the Finnish Defence Forces terminated that program in 2009. The left-over ammunitions (136 pcs live) are owned and stored by the Finnish Defence Forces. No MAT-120 ammunition imported by Patria has been exported out from Finland. Patria Hägglunds has a licensing agreement with a US company, AAI Corporation, concerning AMOS. However, under this agreement, no AMOS mortar systems have been produced by AAI. The export of Patria Hägglunds know-how or components related to AMOS are also under the Finnish export control mechanisms. HRI will be responding in detail in due course. In the meantime, we request the company answer the detailed questions they have been asked and the additional question: How could Patria possibly know that none of the NEMO or AMOS systems are in use with the parties in the Libyan conflict? CJ Chivers of the New York Times and to a very limited extent Human Rights Watch (HRW) are now seriously engaging with the Human Rights Investigations probe into the cluster bombing of Misrata. In fact, the case against Gaddafi’s forces is not proven. The Spanish government should release details of all licenses ever issued and actual exports for cluster bombs and munitions and the machinery to make them. 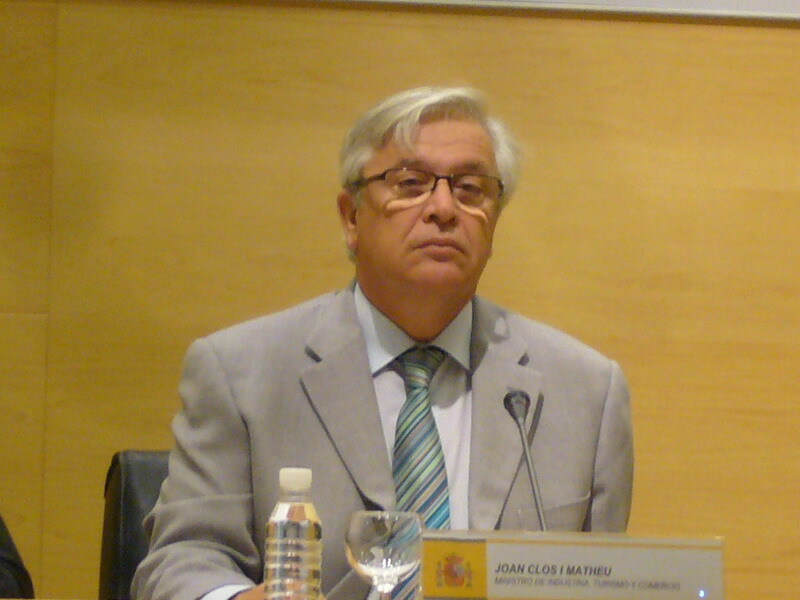 The export of cluster munitions and bombs is now illegal in Spain (although not incorporated into domestic legisalation) – the Spanish government should release details of all such exports in the past to prevent their use in the future. HRI has been pressing for this and urges HRW to do likewise. CJ Chiver’s follow-up article in the New York Times today provides a lot of color to his story and some interesting material but, on the face of it, little in the way of additional evidence as to who actually fired the munitions. It is certainly the case that, under fire from loyalist forces, an assumption that these forces were responsible for the firing of the MAT-120 is a natural reaction, but he has yet to offer any proof – hopefully his next installment contains something substantial. It is good that CJ Chivers has released new imagery of the MAT-120 including a sideview photo of the MAT-120, which may be useful to the investigation and to ascertain which weapons system was used and urge him and photographer Bryan Denton to release copies of ALL the photographs (preferably high resolution) they have taken in Misrata so that everyone can get a better view of the full panoply of munitions used by all sides in the battle. Another update from the New York Times. The article states that various Spanish officials are claiming that exports of the MAT-120 have been made to Libya. One license to Lybia consisting of 5 cluster munitions for demonstration was issued in August 2006. 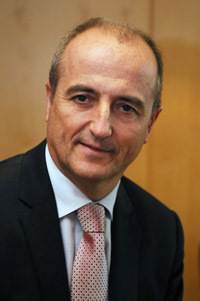 The export took place in October 2006. There were two more licenses issued in December 2007 with a total amount of 1,050 cluster munitions. They were sent in March 2008. In a follow-up e-mail on the same day, Mr. Martinez confirmed, to be absolutely clear, that the cluster munitions we were discussing were the MAT-120 rounds manufactured by Instalaza SA. The Spanish government needs to produce a credible account of these matters, of course, and come clean on its whole record. They also need to actually provide some real evidence, not just on the MAT-120 but on the other cluster munitions which have gone AWOL as well. A lot about HRI. Less of relevance to the investigation, unfortunately. 2. HRI has shown the evidence presented by CJ Chivers regarding the MAT-120 and short stub case is mistaken. 3. Yes, HRI does frequently change its mind on the basis of the evidence received and analysis of it. That kind of happens in investigations. 4. We thank those who have provided useful information and evidence relevant to the Misrata and Spanish cluster bomb investigations and would urge those yet to reply to do so. With regard to the use of weaponry, the commission is concerned that the Libyan authorities have not been making appropriate and precautionary assessments which would, in the commission’s view, militate against the use of weapons such as mortars in densely populated urban areas. The commission is also concerned about reports of the use of weapons such as expanding bullets, cluster munitions and phosphorous weapons in highly populated areas. Further investigation, however, including forensic analysis, would be needed to confirm the use of these ammunitions. With regard to allegations concerning the conduct of hostilities by the North Atlantic Treaty Organization (NATO), the commission is not in a position at this stage to assess the veracity of the information received concerning indiscriminate attacks on civilians. The commission has not, however, seen evidence to suggest that civilians or civilian objects have been intentionally targeted by NATO forces, nor that it has engaged in indiscriminate attacks. Finally, the commission feels that, at this stage, it is not in a position to identify those responsible, as requested by the Human Rights Council in the resolution establishing its mandate. The commission, in view of the time frame within which it has had to complete its work, and considering the gravity and the complexity of the situation, recommends that the Human Rights Council remain seized of the situation by extending the mandate of the commission or by establishing a mechanism with the ability to continue the necessary investigations into both the human rights and humanitarian law situations in the Libyan Arab Jamahiriya for a period of one year. 185. 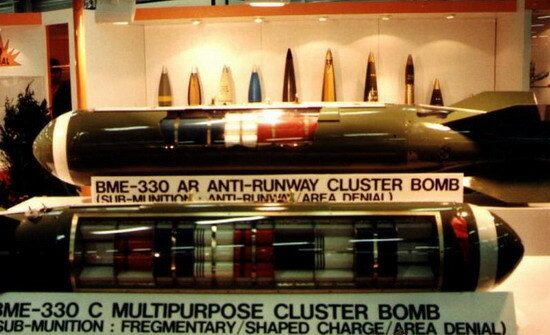 Cluster munitions. The Commission is aware of reports of the use of cluster munitions by pro-Government forces in their attempt to regain control of the besieged city of Misrata. On 15 April 2011, HRW reported that Government forces had fired cluster munitions in residential neighborhoods of Misrata further specifying that the cluster munitions were Spanish produced MAT 120mm mortar projectile, which open in mid-air and release 21 submunitions over a wide area.241 Other independent sources including Amnesty International have confirmed the incident and stated that Spain sold such munitions to Libya in 2007. Further investigation, including military and forensic pathologist expertise is, however, required to confirm or deny the usage of cluster munitions. 188. Mortars: Based upon the facts available to it, the Commission believes that Government forces of Libya utilized mortars in their attacks on Misrata and Zintan. Mortars are weapons that kill or maim whoever is within the impact zone after they explode and they are unable to distinguish between combatants and civilians. A decision to deploy them in a location where a large number of civilians is likely to be present, is a decision that a commander should know will result in the death and/or and injuries of some of those civilians. 189. From the information available to it, the Commission is concerned that the Libyan authorities have not been undertaking appropriate and precautionary assessments which would, in the Commission’s view, militate against the use of weapons, such as mortars, in densely urban areas. The Commission is also concerned about reports of the use of weapons such as expanding bullets, cluster munitions or phosphorous weapons within highly populated areas. Further investigation, however, including forensic analysis would be needed to confirm the usage of these ammunitions. Were the cluster munitions found in Misrata exported from Spain to Libya? Analysis of official Spanish government documents indicates Spanish company Instalaza may not have exported the MAT-120 cluster weapon to Libya in 2007/08. In the 2008 report, Libya is listed as a recipient of category 4 munitions (which include bombs) – this is the source of the reports that Libya was provided with the MAT-120 by Spain. 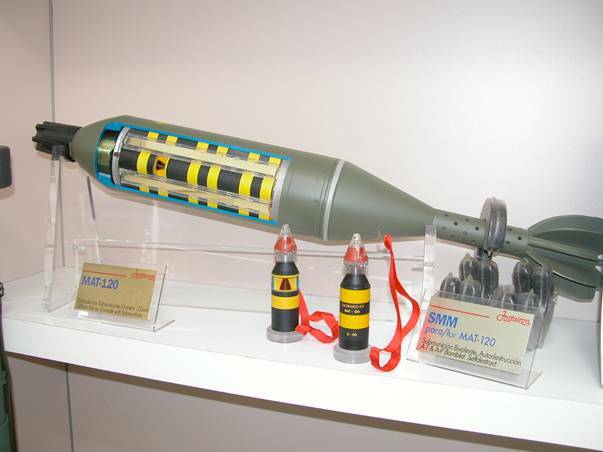 However, the MAT-120 appears not to be a category 4 munition (bomb), but a category 3 one (ammunition for mortar). This information appears to undermine the contention that the MAT-120, the mortar fired ammunition found in Misrata, was exported to Libya from Spain. In fact, if this reading of the Report is correct, Libya could not have been supplied with the MAT-120. Andorra, Egypt, India, Indonesia, Israel, Poland, Singapore, Switzerland, Thailand and the USA. This information links in to the HRI investigation into who really cluster bombed Misrata. Barclays Bank is implicated in the use of cluster munitions in Misrata. Analysis of the accounts of Instalaza, the manufacturer of the cluster munitions used in Misrata, by Profundo shows that Barclays Bank has been a major funder of the Spanish arms manufacturer. Source: Instalaza SA, “Depósitos De Cuentas: 2007”, Instalaza SA, 2008. Media reports suggest the cluster munitions were fired by Libyan forces. In fact, neither Qatar nor the USA have signed to sign up to the CLuster Munitions Convention. (1)It is an offence for a person to—. (b)develop or produce a prohibited munition,. (d)make arrangements under which another person acquires a prohibited munition,. (e)have a prohibited munition in the person’s possession,. (f)transfer a prohibited munition, or. (g)make arrangements under which another person transfers a prohibited munition..
(2)It is an offence for a person to assist, encourage or induce any other person to engage in any conduct mentioned in paragraphs (a) to (g) of subsection (1)..
(3)A person guilty of an offence under this section is liable, on conviction on indictment, to imprisonment for a term not exceeding 14 years or to a fine, or to both..
Banking institutions have been implicated in the use of cluster munitions in Misrata. Deutsche Bank granted Spanish company Instalaza, the cluster bomb manufacturer, a loan of about €3.1 million according to information from non-governmental organisation Urgewald, as reported in the weekly Die Zeit on Wednesday. More than 100 countries signed the Convention on Cluster Munitions at the end of 2008 – it became binding international law for those who signed at the start of August 2010. 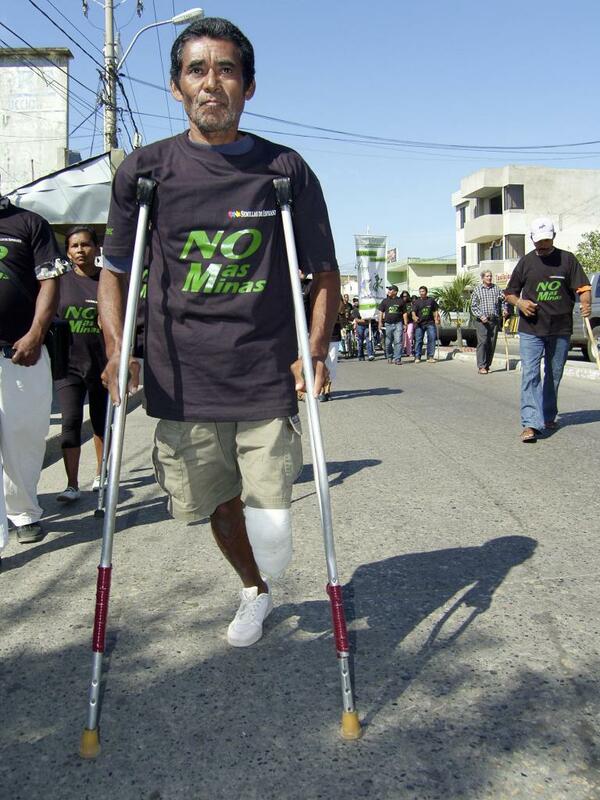 The convention bans not only the use but also the support of manufacture of cluster munitions. A spokesman for Deutsche Bank told Die Zeit he could not comment on specific customer relationships, but denied the bank financed the sale of the controversial munitions. “Deutsche Bank does no business directly connected to certain types of weapons like personnel landmines, cluster bombs or ABC weapons,” he said. The paper said the Deutsche Bank loan was made in 2007 and reported that other German companies have continued to invest in cluster bomb manufacturers since then. More than a dozen insurers offer Germans taking part in the Riester-Funds pension scheme the option of putting their money in funds which have invested in cluster bomb makers. These include Deutscher Ring, Basler, Condor, Stuttgarter, Volkswohlbund and WWK. The paper noted that because the Riester-Funds contracts are co-funded by the German government, it should be assumed that public money is also finding its way into the coffers of cluster bomb manufacturers. The question of who actually fired the cluster munitions into Misrata remains open, with none of Qatar, Libya and the USA having signed up to the Convention. Did Qatar bomb Misrata? – the dangers in allying with an Arab dictatorship. There have been a number of breaks in our ongoing investigation into the cluster bombing of Misrata over the last few days. We now have a lot more information about the disposition of forces on the relevant days (mid-April) and a new line of enquiry has opened up – and that is the involvement of the Qatar Emirates navy and marines. At this stage HRI cannot release all the information or sources as investigation are ongoing, but we are going to release throw a few facts out there because it is important that journalists and politicians start asking more of the relevant questions. There is evidence that Qatari naval forces possessed the particular weapons system used to deliver the MAT-120 (the cluster munition found in Misrata). The evidence that Spain sold Qatar category 4 munitions (bombs) at the relevant time is in the Spanish National Report. Qatar has refused to sign up to the Convention against Cluster Munitions. We also have evidence regarding the presence of Qatari military units in the Mediterranean around 14th April. The knowledge that a Qatari C-17 has been involved in supply of material to the war against Libya is a matter of public record as are some of the movements of this craft. As Hillary Clinton said when confronted with the information about the use of cluster munitions in Misrata – the situation on the ground in Misrata was complex. This is a long and complicated investigation and we are following up several lines of investigation.